Clorox has been a leader in the U.S. integrated reporting movement. Join us to hear about Clorox's latest integrated report, learn about the journey that got them to this point and their experience with integration. 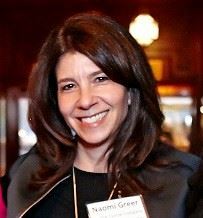 Naomi Greer serves as associate director of corporate communications for The Clorox Company, where she is responsible for external communications that drive awareness and understanding of the company’s business and financial performance. In this role, she handles media relations, issues management, the integrated annual report, and corporate social media strategy and content. Previous areas of responsibility have included corporate responsibility and internal communications as well as public relations for the company’s Professional Products business. Before joining Clorox in 2012, Naomi spent more than 25 years in Washington, D.C., overseeing communications in the health care, hospitality and consumer packaged goods industries. She began her career in account and content management for a top global public relations agency. Naomi holds a bachelor’s degree in history from Middlebury College in Vermont. Andrea Rudert serves as associate director of corporate responsibility for The Clorox Company, where she drives the company’s corporate responsibility strategy to enhance its reputation among stakeholders, including employees, investors, media, NGOs, sustainability analysts and consumer advocacy groups. She works closely with the associate director of corporate communications to develop the company’s integrated annual report, with a focus on CR and sustainability content and performance. Prior to joining Clorox in 2015, Andrea worked in Edelman’s corporate citizenship consulting practice and co-founded a social enterprise that helps women purchase from companies with positive gender equality policies and practices. She began her career in equity research at Deutsche Bank. 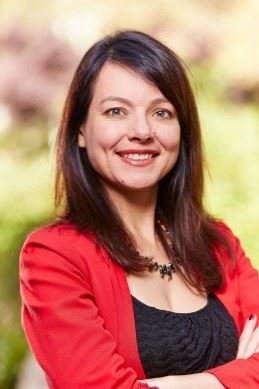 Andrea holds a Master of Business Administration from New York University, a bachelor’s degree in economics from Wellesley College and a certificate in digital media marketing from New York University.